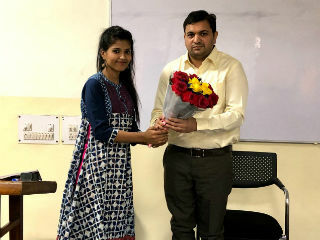 PGDM International Business department of JIMS conducted "Alumni Interaction" on "Exports Product, Procedure and Risk Management" on 3rd Nov 2018.Our Alumni Mr Praduman Gupta (PGDM 2006-09) currently associated with Lasco Shipping Co. Pvt. Ltd. as Manager (SALES & MARKETING).He spoke about the career opportunities in the area of International Business and Export-Import Industry. 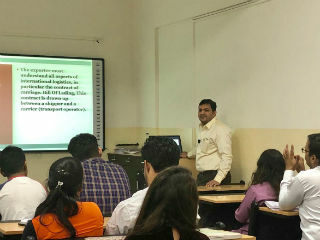 The session was a great learning experience for students of PGDM International Business since the speaker himself was from the shipping background who elaborated on the concepts of logistics and operations in the session. The session helped the students to bridge the gap between theory and practice.